The Mass of Christian Burial for Daniel Kevin Harbaugh, 25, of Eyota, MN will be at 10:30 A.M. on Monday, October 1, 2018 at St. Bridget’s Catholic Church in Simpson, MN with Rev. John Wilmot officiating. Mr. Harbaugh died on Monday, September 24, 2018 at his home in Eyota, MN. Daniel Kevin Harbaugh was born on March 30, 1993 in Rochester, MN to Kevin and Joan(Overend) Harbaugh. He grew up in Pine Island, MN where he attended school, graduating from Pine Island High School in 2011. 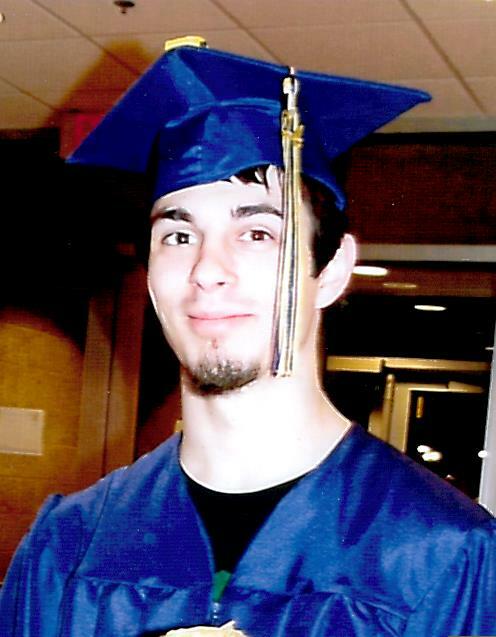 He graduated from Rochester Community and Technical College, as an Automotive Technician in 2014. He was most recently employed as a mechanic at an auto repair shop in Utica, MN. He always enjoyed working on engines from a young age and spent many hours with his Dad working on cars. His other love was the family’s boat and he was the happiest at the beach. His family and friends will miss his great sense of humor and his ability to do voice impersonations. He enjoyed hanging with friends and loved time spent with family, especially his niece, nephews and Eli. Daniel is survived by his mom – Joan Overend of Kasson, MN and dad – Kevin Harbaugh of Rochester, MN; 1 brother – Justin (Mallory) Harbaugh of Le Roy, MN; 2 sisters – Allyssa Harbaugh of Owatonna, MN and Kara Harbaugh of Red Wing, MN; 1 niece – Adri; 3 nephews – Kobe, Huntley and Braxton; grandfather – Frances Overend of rural Stewartville, MN; grandmother – Paula Harbaugh of Rochester, MN; Dear friend – Rachel Dougherty and son - Eli of Eyota, MN; and many aunts, uncles and cousins. He was preceded in death by his grandmother – Mary Overend and grandfather – James Harbaugh. A time of visitation for family and friends will take place from 4:00 to 6:00 P.M. on Sunday, September 30, 2018 at Griffin-Gray Funeral Home in Stewartville, MN and 1 hour prior to the services at the church on Monday morning. Arrangements are with Griffin-Gray Funeral Home in Stewartville, MN.